Photo Pixelate you can make your photos pixelated! 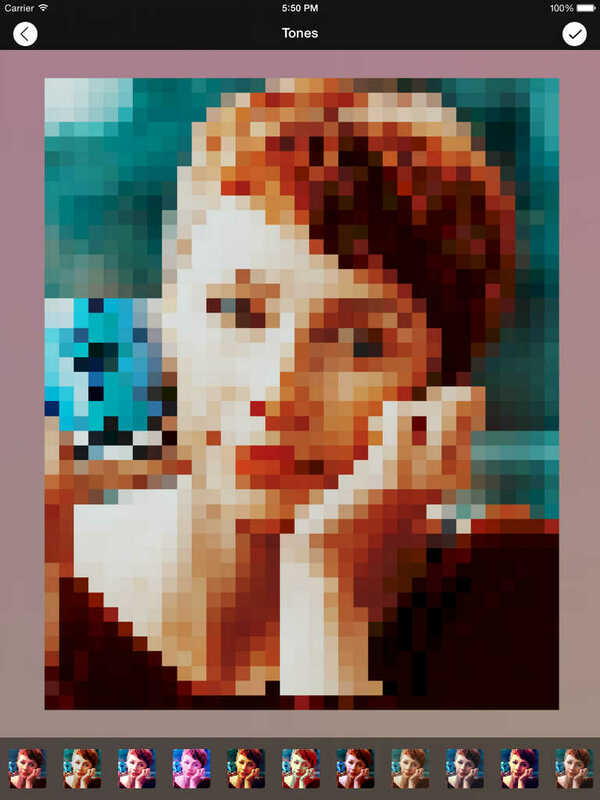 You have two choices: you can pixeletae you entire photo for a retro game look or yu can choose to pixelate only your face. Photo Pixeletae will recognize the faces and will pixelate them. It is just that easy. And even easier to do it right from your Apple Watch.